Eric Poster, who aged out of East Coast Jazz this summer as a member of the baritone section, sent in this one. 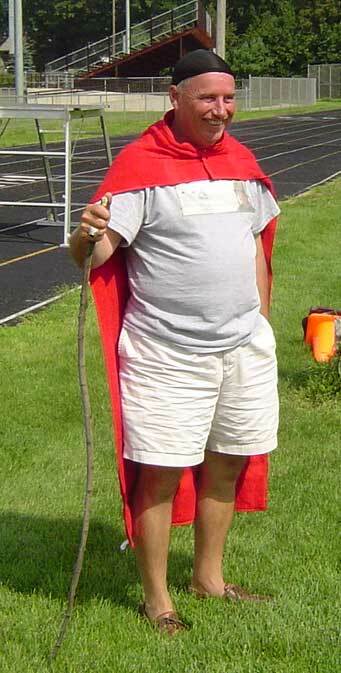 "This is a picture of our percussion caption head, DCI hall of famer Charley Poole. I believe that his appearance can best be described as his "cleaning attire."" Thanks Eric! E-mail your best shots from the summer to dave@dci.org along with where and when the photo was taken. Send some biographical information about yourself as well. We'll give you full credit. Also, let us know if you want your e-mail address included.